Limelite is the lightweight, easy to work range of renovation plasters you can use without having to worry about damp, mould and trapped moisture. Because they’re gypsum free, Limelite products work with the fabric of a building. Letting brick and masonry walls breathe and providing a high quality, long lasting finish that protects and performs for years to come. • Salt inhibitor controls surface efflorescence. 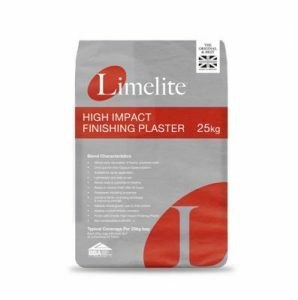 • BBA approved when used with Limelite Renovating Plaster.